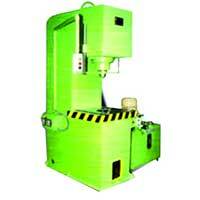 We are a renowned Hydraulic Equipment Manufacturer and Supplier in Belgaum, Karnataka. Our Hydraulic Equipment are offered in a wide range which is comprised of Hydraulic Cylinders, Hydraulic Jack, Hydraulic Power Pack, Hydraulic Presses, Hydraulic Brick Making Machine and Hand Operated Hydraulic Pump. Our Hydraulic Equipment are fabricated with the use of best quality components that impart strength and durability. The Hydraulic Equipment that we offer are heavy duty and well-tested under strict industry norms for enhanced performance. Moreover, we provide these Hydraulic Equipment at affordable prices. Hydro Dynamics is one of the prestigious Manufacturers and Suppliers of Hand Operated Hydraulic Pump. Our Hand Operated Hydraulic Pump is preferred for its heavy duty construction and automatic change over from high discharge at low pressure to low discharge at high pressure.